We love weddings. We really do; the joy is completely infectious. 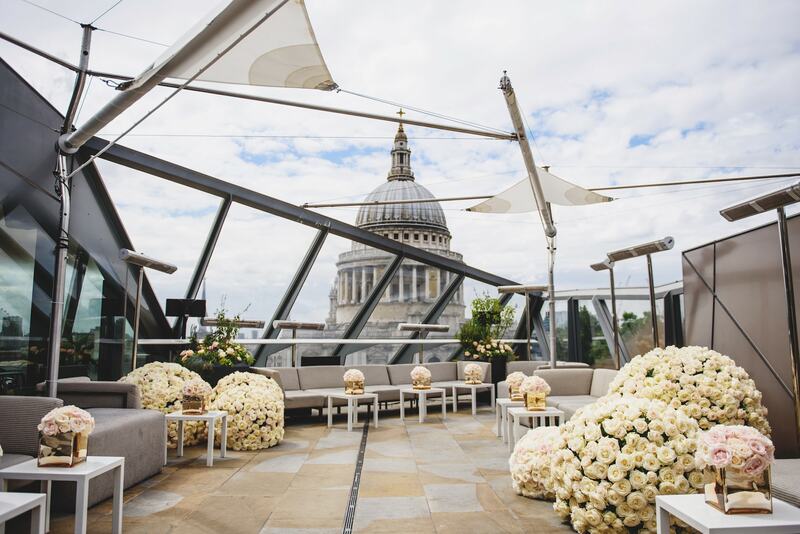 As a leading wedding florist in London, Larry has spent years planning weddings; from flowers to full design; interpreting every dream and creating emotive atmospheres in every conceivable location. 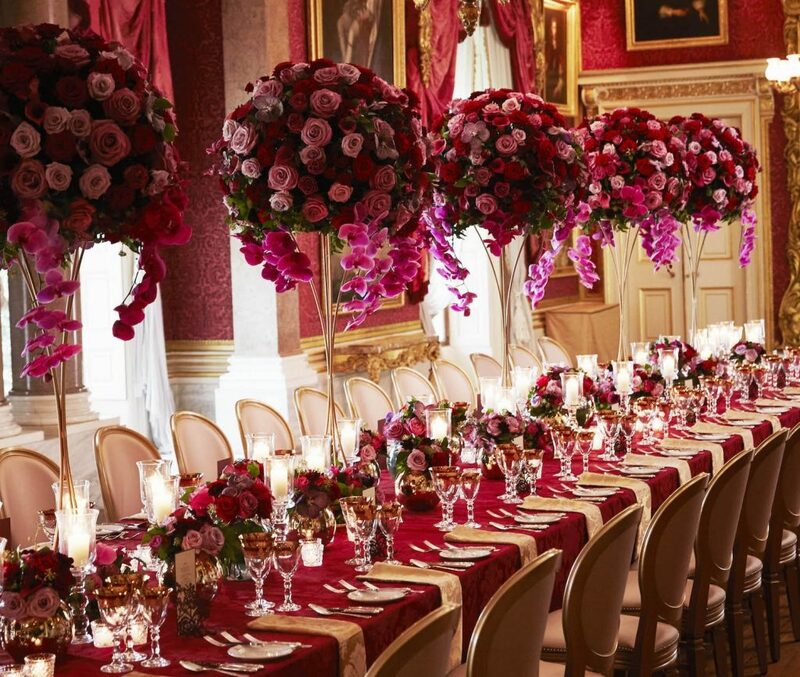 Whether you are planning a wedding in the heart of Central London, a country marquee, a stately home or even a Palace, Larry & his team of expert florists seek to beautifully design and creatively interpret your individual sense of style to result in an utterly memorable event. 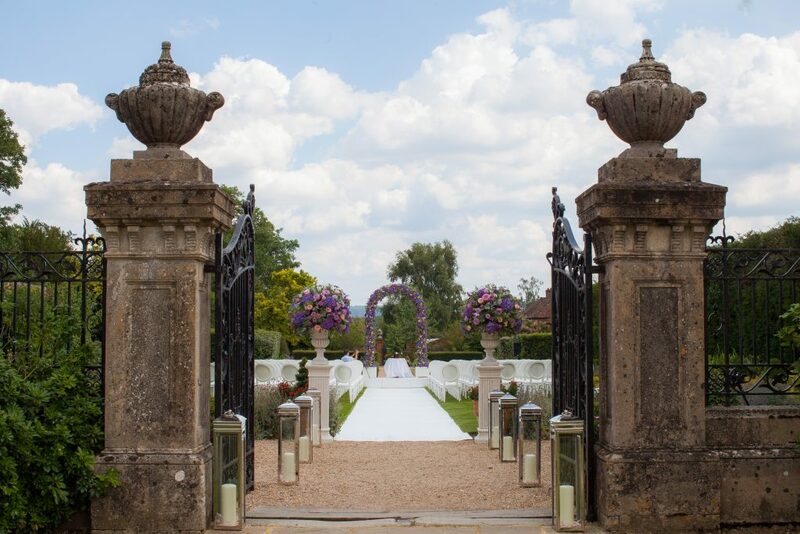 When it comes to your wedding day, we understand that every detail counts, so work closely to provide inspiration and guidance to ensure beauty is realised on one of the most special days of your life. With an incredibly talented team of creative florists, designers & production crew each bringing their unique talents and a global wealth of experience, we ensure that all our wedding flowers are beyond spectacular. We have strong relationships with leading growers internationally, ensuring constant quality throughout the year and seamless logistics for larger productions. 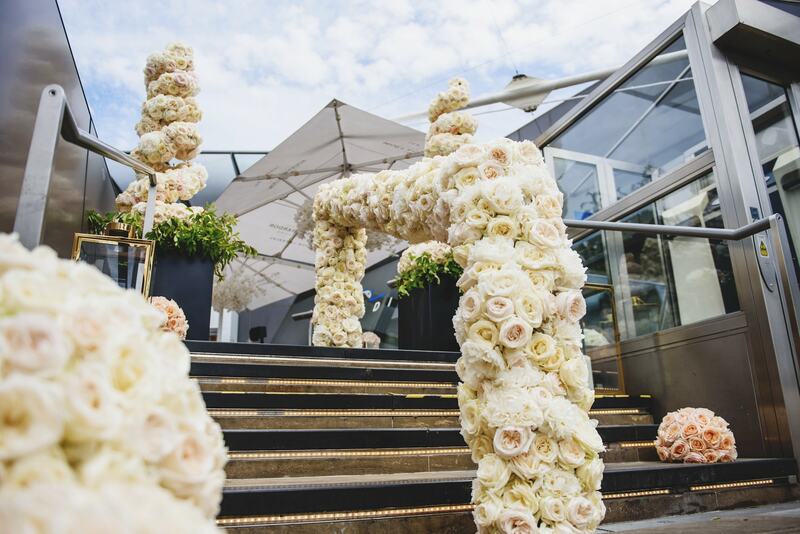 Even to this day, we believe each opportunity to create breathtaking luxury wedding flowers is a privilege; so whether you are planning an intimate wedding with close family or a lavish reception for 500 guests, Larry Walshe Floral Design will work tirelessly to ensure your flowers are styled to perfection. SO INTRICATE, SO MAGICAL, SO YOU! FANTASTIC WORK! 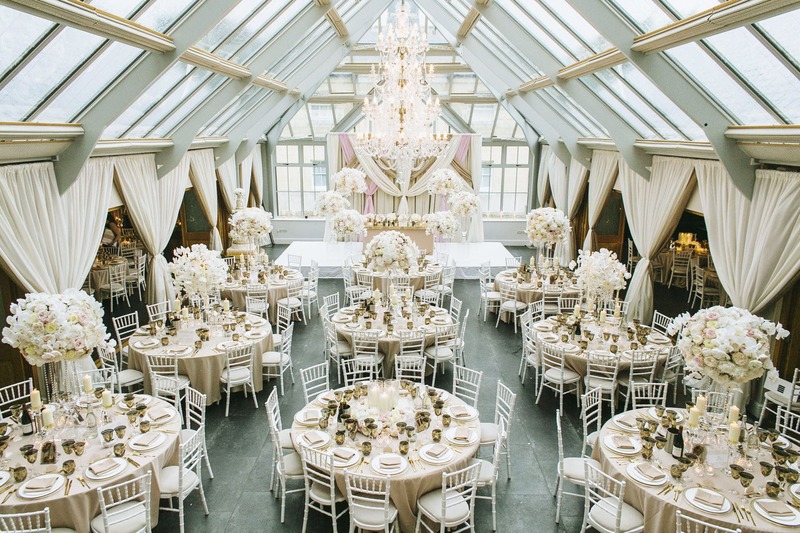 London and the surrounding counties play host to some of the countries most beautiful and prestigious wedding venues. 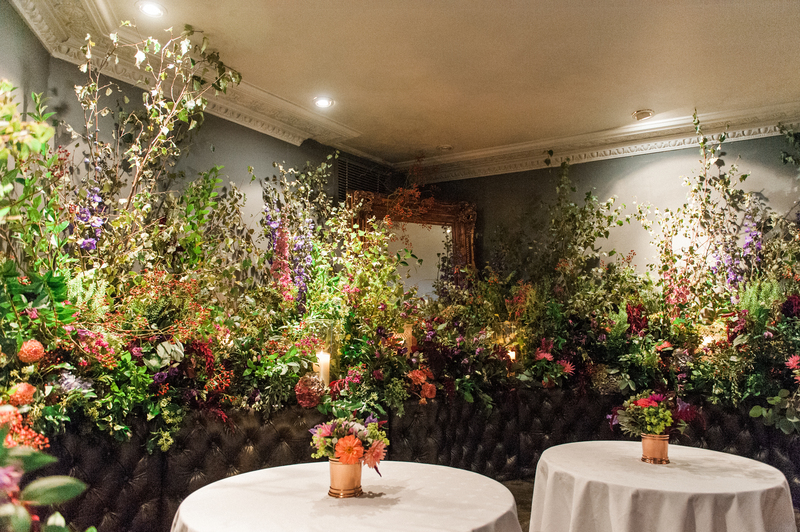 Collectively, our team of expert florists have styled weddings at many of them. As such, we are proud to be recognised as an approved supplier in some of London’s most prestigious wedding & event venues. If you are still in the early stages of your wedding planning process and would like venue advice or recommendations, our team would be delighted to assist. We love destination weddings. They provide a new challenge and opportunity to work with flowers in a unique and often picturesque environment. Should you wish to ensure the quality and style you have dreamed of is not compromised on your wedding day, our team is here to help. 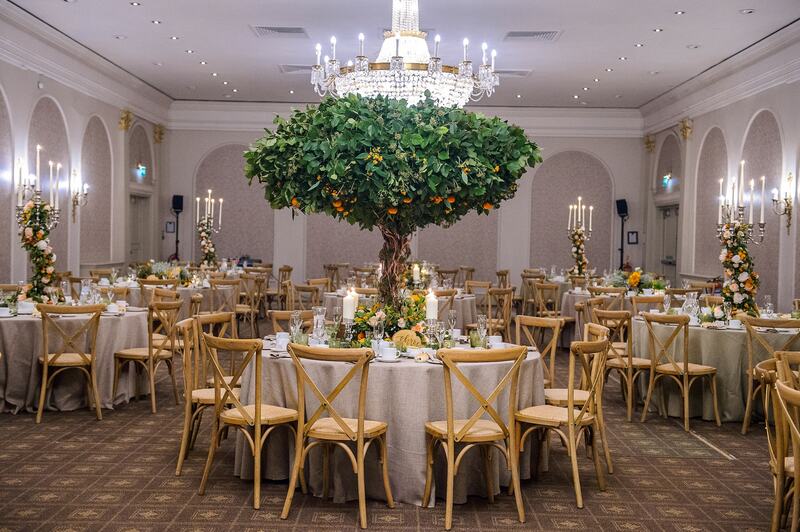 Larry Walshe Floral Design have created beautiful flowers in Portugal, Italy and the USA and would be delighted to design and style your dream day. 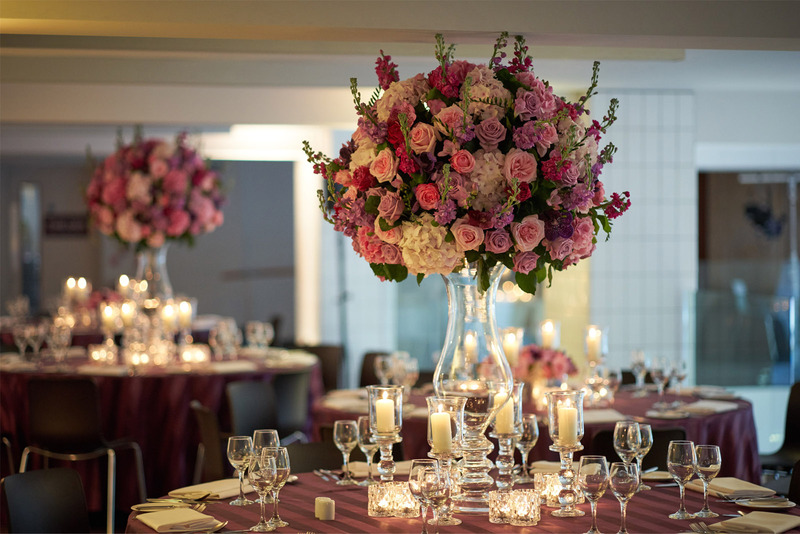 Speak to our expert wedding florists in London today, call us on +44 (0) 208 540 5305. 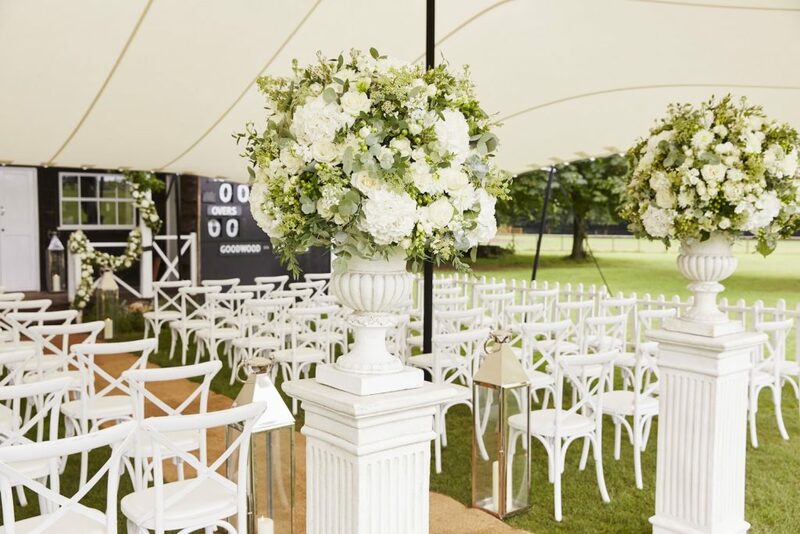 It is always such a joy to be asked to create floral designs for an outdoor wedding ceremony; on this occasion, it was particularly so when in such exquisite surroundings. 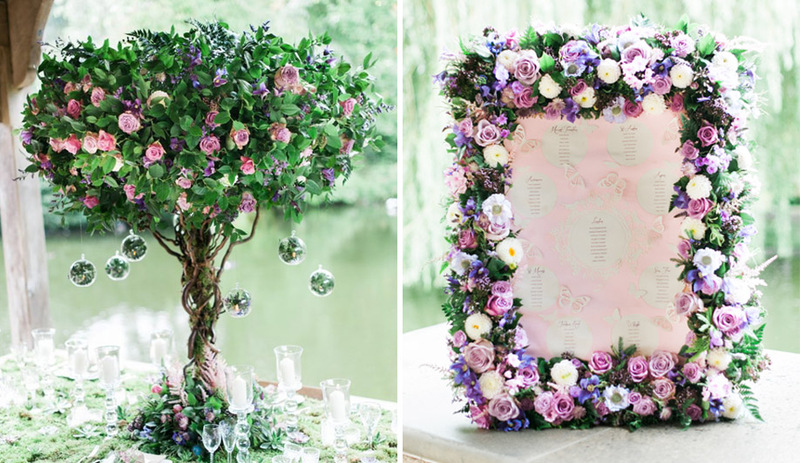 Using a textural and enchanted palette, we created a series of fabulously whimsical woodland inspired floral designs for a magical wedding at Waddesdon Manor in the heart of Buckinghamshire.